Apparently, Wizkid is not wasting time before resuming on his mission to grow his international reputation. 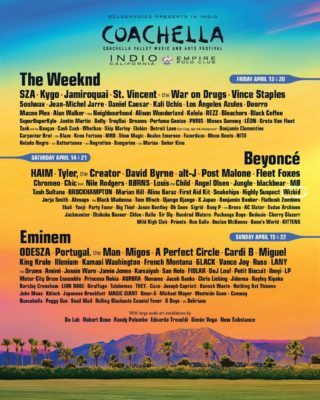 The singer has been named among the artistes set to perform at the 2018 Coachella Valley Music & Arts Festival in California, US. The International concert is set to held between the period of April 13 -22, 2018.